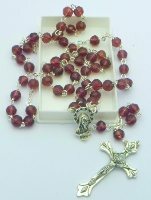 Birthstone Rosary Beads January - Garnet. 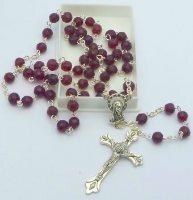 Birthstone Rosary Beads February - Amethyst. 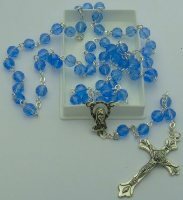 Birthstone Rosary Beads March - Aquamarine. 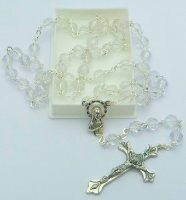 Birthstone Rosary Beads April - Diamonds. 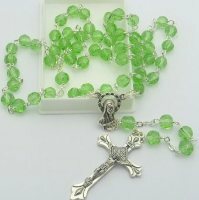 Birthstone Rosary Beads May - Emerald. 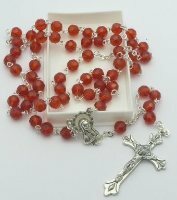 Birthstone Rosary Beads July - Ruby. 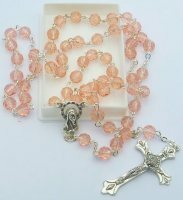 Birthstone Rosary Beads October - Rose. 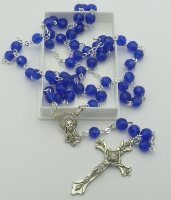 Birthstone Rosary Beads December - Blue Tourmaline.